Music night at the motel? Sounds great! I'm in! Analysis A year ago, Facebook was denying that it was a media company. No way, not ever. Not us! Then it said it was "not a traditional media company". But quite soon, it could be the media company that you never leave. Yes, we've mocked the video dabblings before, but things have moved on apace since then, particularly in music. And here's the problem. Even if Facebook is only moderately successful in executing its plan, it will have more power than any record label has ever wielded. It will control the equivalent or radio and record stores, as well as the label. Or in movie analogies, be the monopoly cinema chain, the box office and the promotion. 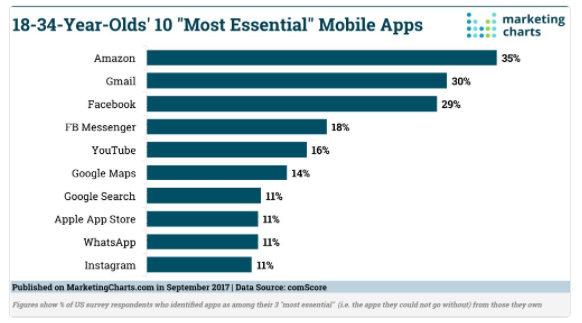 Four of the 10 mobile apps most used by 18 to 34s (Facebook, Facebook Messenger, Instagram and WhatsApp) are all owned by the social networking firm – and people check Facebook every 210 seconds. Facebook dominates the traffic that leads to media, giving it immense market power. So why not host the media itself? It's odd how some readers, like those Japanese soldiers being hauled out of caves in the 1970s because they refused to concede that World War II was over, still think Hollywood and "the entertainment oligopoly" rule over the internet. Here's what Facebook has planned. For music, Facebook has decided to knock out Spotify and other pure-play streamers. Rather than making it easier for streaming services to partner, say for Spotify to embed music in Facebook content, it would do direct deals with the industry. Adverts appeared in March for experienced licensing execs. Once Facebook is squirting music at you through WhatsApp, Instagram and on Facebook posts, would be pretty hard to avoid. MBW's Tim Ingham now reports "hundreds of millions of dollars" are being offered as a "quick fix advance" to clear licensing for the use of music in Facebook-hosted videos. Interestingly, when Facebook acquired Content3, it acquired the founders of RightsFlow, which Google acquired in 2011. Content industries may not like companies like Spotify, but money talks. Spotify brings in substantial revenue, and represents growth. It may be far less than they'd like, but it's legitimate money. And Facebook promises to bring in far more than Spotify has done (YouTube, with its cynical use of the UGC loophole, brings in far less). Scale is the key here. As trade site MBW pointed out in March, when it spotted the stealth music initiative, Spotify has 150 million users, hard won over nine years. Facebook has 2 billion active users. For Facebook to surpass Spotify, it would only need to convert 7.6 per cent of its audience. Remember how Spotify "sold its soul" (in Michael Robertson's words) to Facebook in 2011? It made having a Facebook account mandatory. It needed the traffic. Remember how the old music industry drove traffic? Payola was for decades regarded as a necessary cost of doing business. So was chart-rigging. (The former head of Universal in the UK John Kennedy once told a crowd that people stopped because it wasn't cost-effective any more.) But because it dominates screen time already, Facebook doesn't need to spend money on either. It controls the footfall. Now, you're saying, there's a big problem. Facebook is free. Those 2 billion users don't pay a penny, so the hurdle is higher. But this is where Facebook's vertical integration comes into play. Facebook, Apple and Google have seen how Tencent has become Asia's biggest company, thanks to converting chat into a social network into an e-commerce platform in China. It's very early days so far. Facebook's Marketplace is only live in six markets, including the UK, and feels very like a beta. This week saw new features for business built into WhatsApp, but they're very rudimentary, and amount to little more than a Blue Tick certification that the business is who it says it is. WhatsApp and the other properties still need a transaction back-end. But once they have one, we may be able to see an impressive conversion rate. Pure-play streamers have dreaded this prospect. Spotify is synonymous with deep catalog flat rate streaming. That's all it does: it doesn't sell expensive hardware or run an ad agency. It faced an unenviable choice: either partner with Facebook or putrefy. As we noted back in 2011, Spotify partnering with the social network would "save Facebook an awful lot of work dealing with music licences and bearing the bandwidth costs. But at the end of the day, [streaming services] are less of a platform and just another interchangeable component supplier". Video So there is fife on Mars?